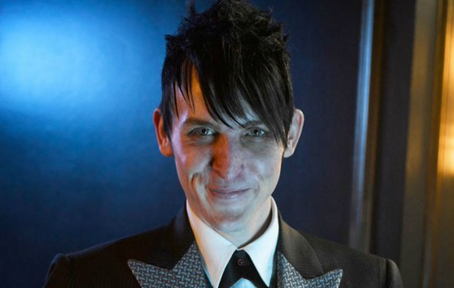 Fox has released a preview and description for Gotham episode 215, which airs March 21. Check it out below. "Mad Grey Dawn": "Gordon and Bullock (Donal Logue) investigate a trail of clues left in a museum robbery, which, unbeknownst to them, were left by Nygma in a dangerous game of cat and mouse. Gordon’s past comes back to haunt him when an anonymous person threatens to expose his hand in Galavan’s murder. Meanwhile, Penguin’s visit to some old friends leads him to meet his father, Elijah Van Dahl (guest star Paul Reubens) and Bruce practices his street smarts in the all-new “Wrath of the Villains: Mad Grey Dawn” episode of GOTHAM airing Monday, March 21 (8:00-9:01 PM ET/PT) on FOX."